Need a better way to financially manage your farming operations? Farms are businesses too! Carrick Aland can assist you to know exactly where your farming operation currently stands – and where it’s heading. From crop and livestock tracking to farm budgeting and forecasting tools, we work with you to allow you to confidently plan and forecast with real-time information as conditions change. We enjoy nothing more than being able to teach our clients how to use and make the most of technology. This takes you from being reactive to proactive by identifying any issues sooner, taking action and allowing more time to investigate ‘why’ rather than just crunch numbers. We can help you break down livestock by age, type and provide a history to plan what’s coming up for sale. If you’re a farmer with 500 head of cattle with only 200 head for breeding, we can help you determine what herd percentage to turnover and how many to retain. If tough times loom, we can help you plan around selling cows as a buffer using deeper insight into stock numbers. Of our farming clients who tap into a higher level of agricultural reporting, nearly 90% receive better livestock movement tracking and integrated tax planning. If your closing stock figure on cattle is a question of ‘how many’ until muster, consider the benefits of having a handle on actual cattle numbers at any time. 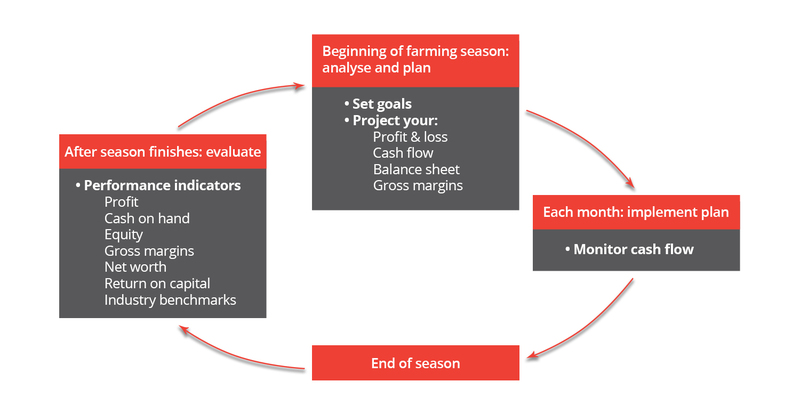 For cropping, we offer a unique solution for allocating expenses to certain tracking categories, which are matched season by season for enhanced Gross Margin (GM) reporting. Money out goes and is allocated to a certain tracker, which reports back to Carrick Aland so we can give you a running total of expenses for that crop. We produce the GM report for you at the bank or to understand how you’re performing on direct costs. Carrick Aland is partnered with Figured, a leading agricultural software provider. A huge part of our difference is customisable tools that capitalise on add-ons and automate so you worry less about debits, credits or payroll with more effective systems that give farming business owners more time to work on business improvement. Want to farm on the front foot? Talk with the farming team at Carrick Aland Accountants about getting set up today on 4669 9800 or follow us @FrontFootFarmer.